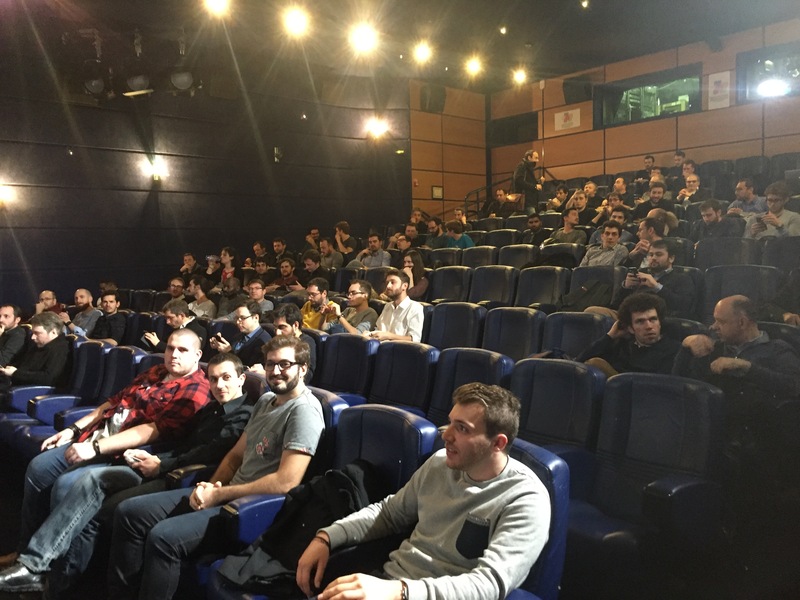 Thanks to all of those who came out to our February edition of Paris Video Tech! 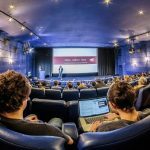 This third event was hosted by France Télévisions in their impressive screening room; it was our largest event to date and a real pleasure to gather and discuss in such a WOW environment! 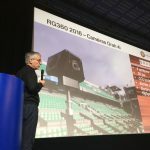 Not to be outdone by the surroundings, we had great lineup of talks that spanned from player tech to standardisation insights to innovation in 360° video. 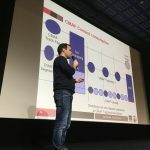 First up, the M6Web dev team presented the latest iteration of their MSE player based on React and Redux, with the ability to easily leverage multiple media engines, and the associated development/testing workflow. 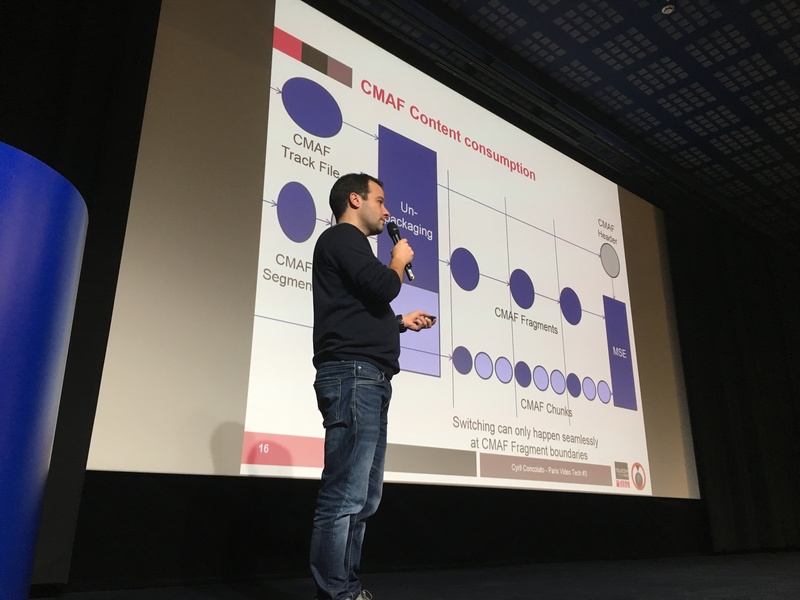 Next came Cyril Concolato (Telecom Paris Tech, GPAC and CMAF co-chair @ MPEG), who gave us a crash course in CMAF’s key concepts, its different profiles and delivery modes, and the standardization perspectives around this format that aims to streamline video workflows. Thanks again to all of our speakers for your many insights and quality talks. 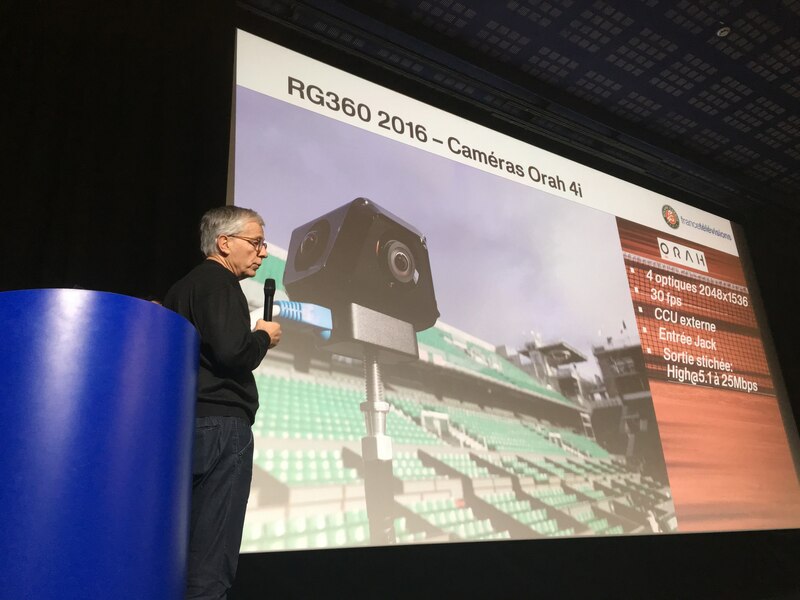 We also give a special thanks to the France Télévisions team and especially to Raphaël Goldwaser for heading the organization and taking care of the live streaming! If you didn’t get a chance to join us, here’s the replay! 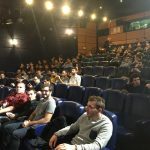 And a few photos of the event! Thanks to everyone for coming out. We hope you enjoyed the evening! 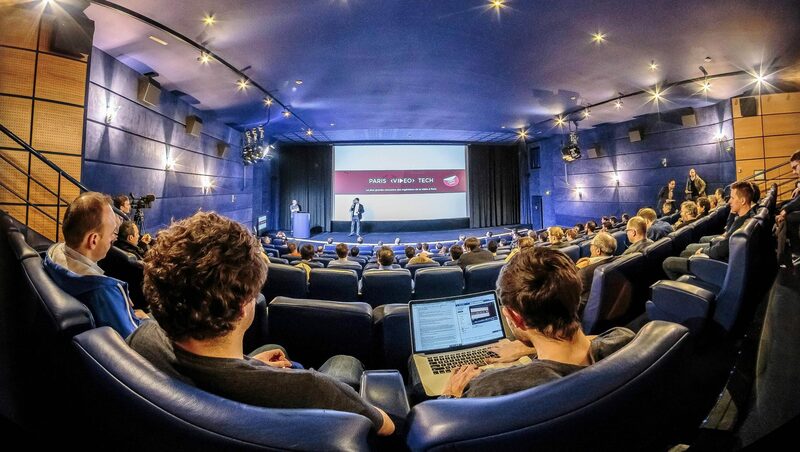 See you in a few months at our next meetup.